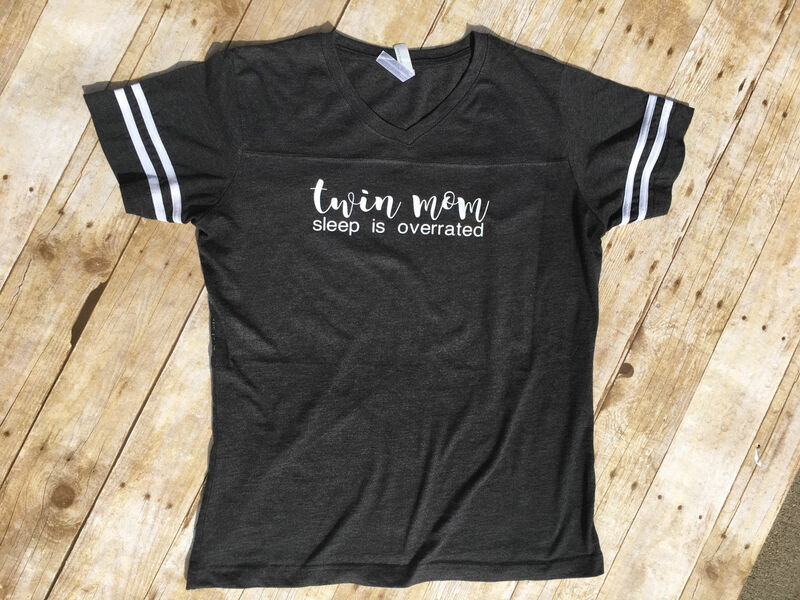 Twin mom sleep is overrated shirt. 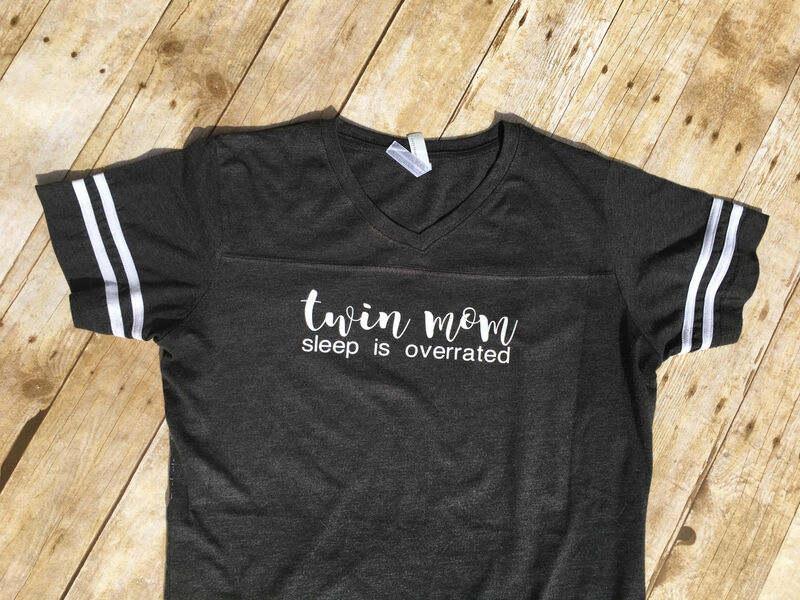 Twin mom shirt. 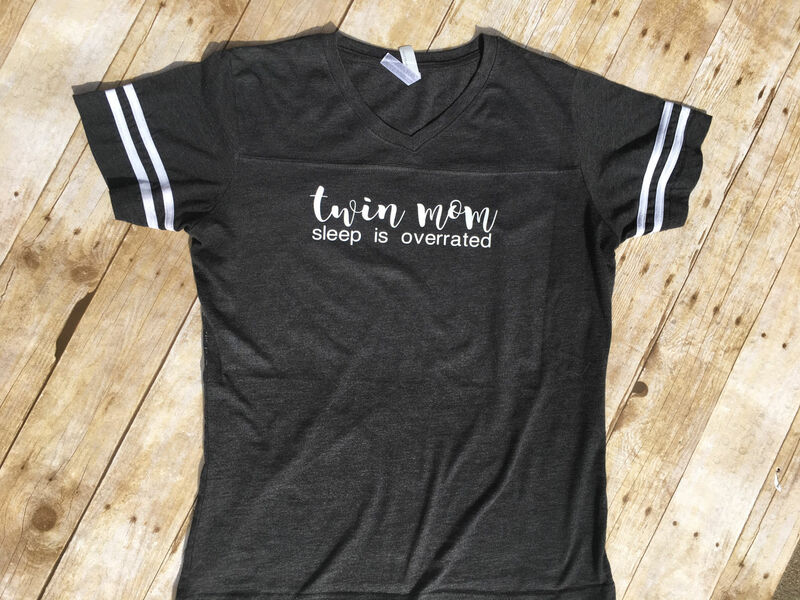 Twinmom shirt. Mother of twins gift. Mom of Multiples. 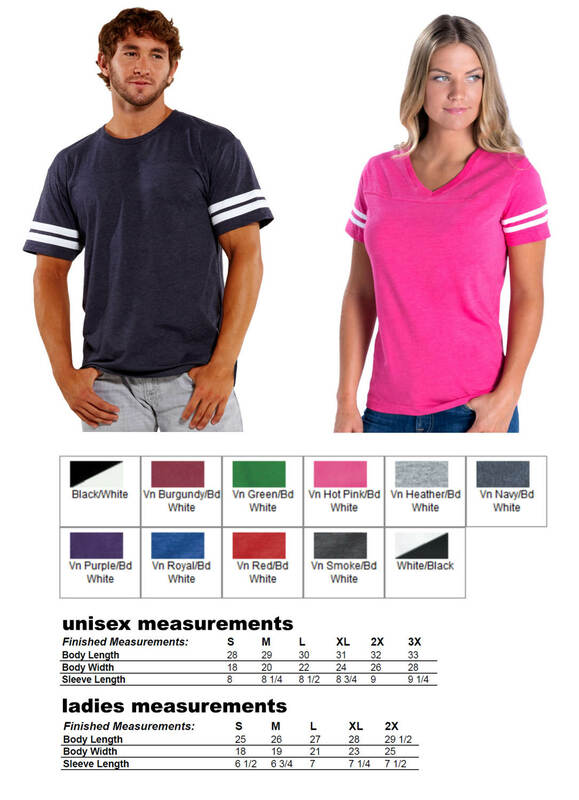 Football style shirt. Exactly as described, a little smaller than I expected but it fits my sister. Thanks!